Major sugar cravings, but mid-month salary crisis? We found this quaint little bakery on Model Colony that sells delicious gourmet cookies, pastries, muffins and more, starting at INR 10. 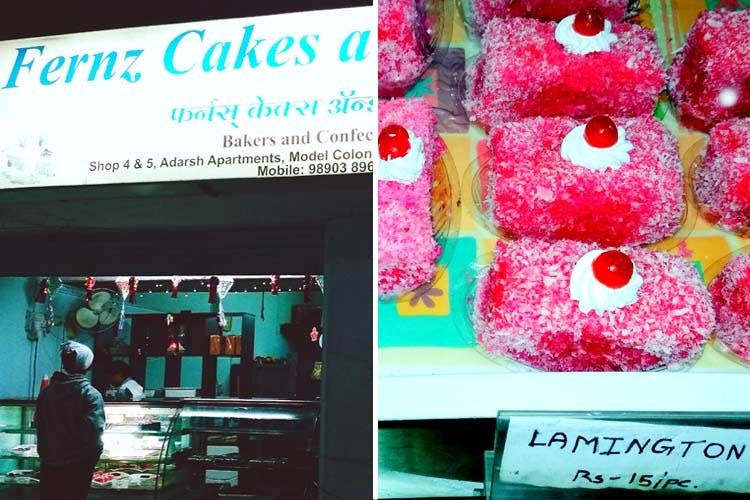 Started by Delna Fernandes, Fernz Cake & Cookies at Model Colony, sells confectionery items to die for! Homemade and absolutely delectable, the little bakery by the side of the store houses everything from cookies, muffins, puffs, pastries and birthday cakes. Their bestsellers are the eggless vanilla muffin and the chocolate muffin that come for INR 10 and INR 15 respectively. Priced at INR 15/piece, the lamington has a creamy strawberry coat, rolled in desiccated coconut, baked to perfection. If you love crunchy puffs, go for their chicken patty for INR 20. Fernz Cake & Cookies also sell different kinds of cakes, priced at INR 280 for half-a-kg. Love cookies? Check out their gourmet shrewsbury biscuits for INR 75 for 200 grams and wheat chocolate cookies for INR 60 for 200 grams. Eat everything under INR 150 at Fernz Cake and Cookies.